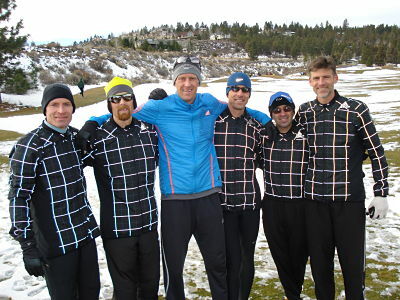 This year I had the wonderful privilege of being invited to compete with the BRC/Adidas masters club from Colorado at the USATF Club Nationals 2013 in Bend, Oregon. It didn’t take much twisting of the arm since I grew up in Oregon and love getting back there to visit family whenever possible. As I turned 40 back in June, I entered a new world known as masters running. This is both exciting and humbling at the same time. It’s exciting in that there are separate awards and even (in some cases) separate championship races across the country. It’s humbling in that I still can’t believe I turned 40…”masters runner” does have an elderly ring to it. I believe all my personal bests will come in my forties since I have “younger legs” for someone my age. 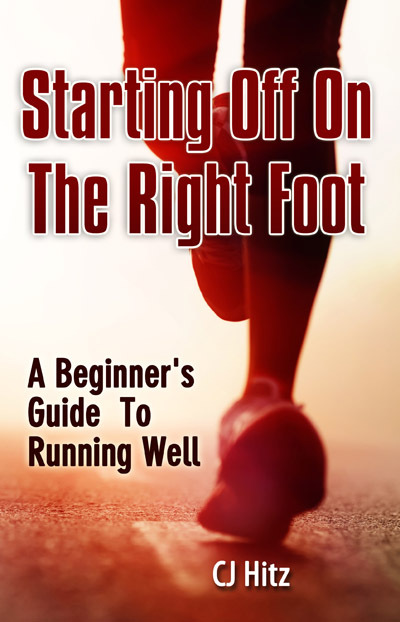 I didn’t begin running until almost 35 years old which is a mere 5 ½ years ago. Every year since then has seen significant improvement in my running which can be attributed to deeper base, smarter training and better (most of the time) nutrition. 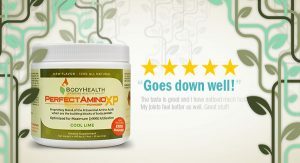 I’m excited to push the limits in my forties! As you probably noticed, the race location alternates each year between the western and eastern US. The 2014 races will be held in Bethlehem, PA.
After 4-5 years the IAAF dropped the 4k and stayed at 12k and 8k for the World Champs. They left the team sizes at six runners while scoring 4, but before 1998, the World Champs for men was 12k with 9 man teams. Another teammate, Simon Gutierrez, actually ran on one of those World teams back in the day. Their thinking with the 4k and smaller scoring teams was that more countries would field competitive teams and the middle distance runners would be more of a factor. But this was not to be and it ended up being an afterthought since XC is XC and track is track. Many thanks to my teammate Mark Misch for providing the above brief history. 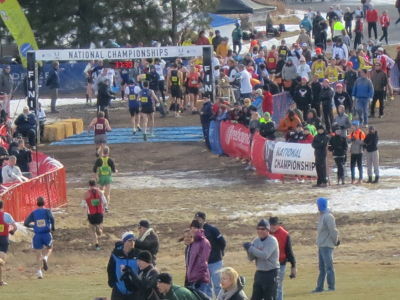 The course in Bend sat at a little over 3,600 feet which makes it the highest in USATF Club Nationals history. Coming from Colorado where our team lives between 5,000-6,400 feet, we were looking forward to any advantage we might have in competing at a little higher altitude. This year’s race director was Max King, one of the best trail/mountain runners in the world. Max said he wanted to bring cross country “back to its roots” with all sorts of surprises. Well, the course certainly had its fair share of roots & rocks. Mark & I had a chance to walk the 2k loop the day before the race to get an idea of what was in store. The first 400 meters alone could ruin a person’s race due to the steep uphill climb. The starting line itself was probably half the width of a typical championship cross country course. As we crested that first big climb, the course veered right and almost immediately narrowed. We both agreed this would make for some interesting jostling for position among over 300 runners. Another 200 meters and we would begin a nasty technical downhill where I envisioned many people going down. This had Max King’s fingerprints all over it. Once you made it through the downhill gauntlet, the course had a 400 meter stretch that took us in and out of pine trees. This little section had branches we had to dodge and several sharp turns that would halt any momentum we might have gained on the “flattest” section of the whole course. To be honest, I was actually excited to tackle this course. Going uphill is probably my greatest strength. 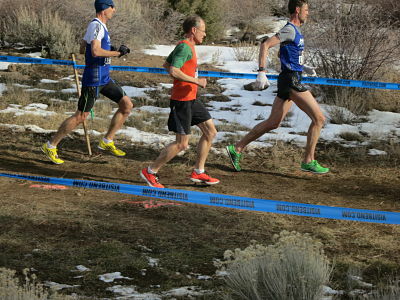 Unfortunately, technical downhill is not one of my strengths but I still hoped to limit the damage by maintaining my position and also knowing that many runners were coming from flat terrain where they had little or no experience running downhill, let alone technical downhill. This course would be an “equalizer” in many regards. It would be a race of strategy, perseverance, mental toughness and sheer grind. Forget the 10k PR this year! Simon Gutierrez – Two-time winner of both the Mount Washington Road Race and Pikes Peak Ascent. Made numerous US Mountain Running teams. Has placed 1st overall at Club Nationals XC and placed 2nd twice. One of the best master’s runners in the country. Art Siemers – Head cross country coach at Colorado State University in Fort Collins. PR’s of 4:04 (mile), 14:05 (5k), 29:47 (10k), 1:05 (half-marathon), 2:18 (marathon). Art continues to be competitive after turning 40 this past year. 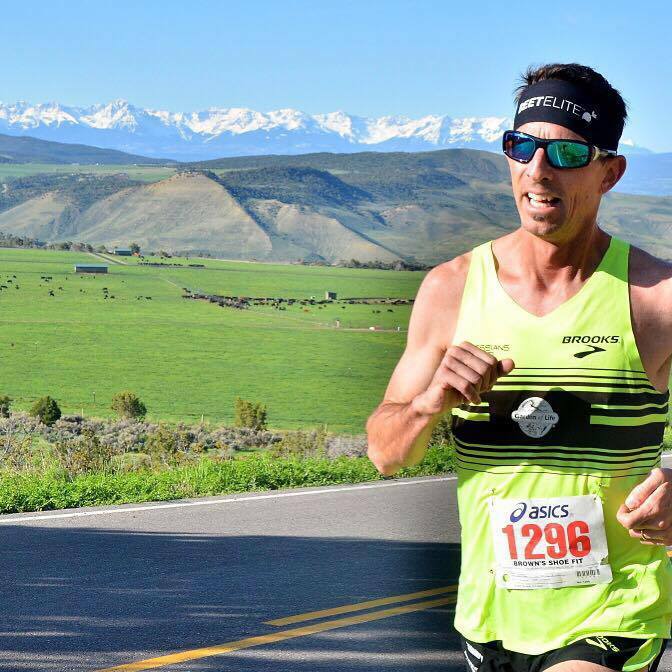 Cody Hill – Cody and his wife Lori operate the Boulder Running Company in Colorado Springs and are fantastic running ambassadors in our community. Cody created the BRC/Adidas elite racing team several years ago which has been very competitive at races and championship events across the country. I’m thankful Cody invited me to be part of this master’s team. He’s been a competitive runner since his collegiate days and continues to lay down some smoking times from the mile to 10k after also turning 40 this past year. 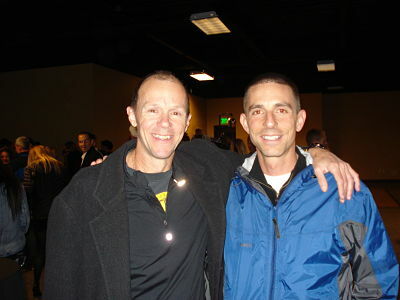 Craig Greenslit – Craig has been a high level triathlete for several years from local events to Ironman championships. He also has a fantastic running resume including a 6th place master’s finish at last February’s USA Cross Country Championship in St. Louis. Mark Misch – Mark is Head Cross Country and Track coach at University of Colorado at Colorado Springs (UCCS). Not only did Mark run at the collegiate level himself but he’s had the privilege of coaching some outstanding collegiate athletes over the last seven years. Shortly after turning 40 this past year, Mark placed 16th overall in the master’s USA Cross Country Championship in St. Louis. 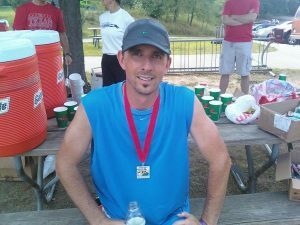 Before being involved in a car accident nearly ten years ago while running, Mark was well on his way to qualifying for the Olympic Trials in the marathon. Since then, he’s managed to adjust his goals while remaining very competitive as a runner. 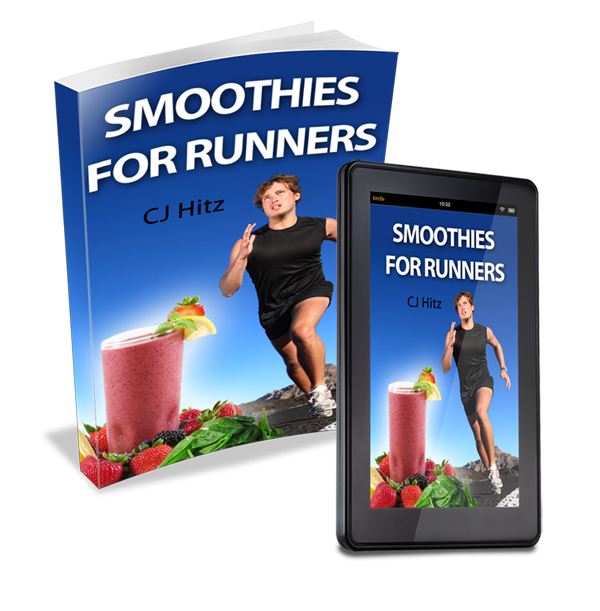 CJ Hitz – Yep, that’s Yours Truly. Since I only began running 5 ½ years ago, my running resume is short and much less impressive compared to the guys above. 2013 was an exciting year of improvement in my running as I managed to beat my previous PR’s which had been set at sea level. Setting new PR’s at 6,000 feet elevation (here in Colorado Springs) gets me pumped to run these distances at sea level again to see what I can do. 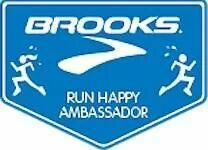 I hope my own running can be an example for those, like me, who took up running in their mid-thirties or even forties. On race morning, we arrived at the course a little after 9am. With the men’s master’s race beginning at 10:45am, we had plenty of time to warm-up and even watch the women’s master’s race. For our warm-up, we decided to run the 2k loop that we’d become quite intimate with during the race. Weather conditions were partly cloudy and windy with temperatures in the 30s. Fortunately, by the time our race started, the wind had quieted down and we even saw some sun peeking through. As we did our final strides near the starting line, I was envisioning runners blowing up after that first 400 meter climb. Mark & I agreed we needed to go out a little more conservative which would keep us in the middle of the pack in that first loop. If ever there was a course where a person could ruin their race in the first two loops, this was surely it. After the first loop, Mark & I were running within five meters of one another and found ourselves at around 150th place or middle of the pack. Even in this first loop, we began to see the carnage begin. There was a steep price to be paid for those who decided to go out at their normal 10k pace since this course was anything but “normal” compared to all other previous years. I’m so thankful for Mark and his wisdom, even as we were running nearly side by side. As he sensed me getting antsy and wanting to push harder after that first loop, he gently said, “Patience CJ, remember we have five loops. Our opportunity will come.” This was enough for me to hold back and save the best for last. Mark is a coach through and through, even during a championship race! By the time we made it through the second loop, we probably passed 10-15 people on the uphill section while maintaining our position on the downhill. At worst, we would be passed by 2-3 people on the downhill each loop. As we completed the third loop, we found ourselves in the top 100 and in great position to reel in more carnage in the last two loops. It was in the third loop that we passed Craig who was dealing with a lingering Achilles issue. This is the main reason he decided against wearing XC spikes due to the further stress it would add. It was evident when we passed him that he was struggling with some pain. The fourth loop saw Mark & I turn it up a notch as we still had plenty in the tank, thanks in no small part to Mark’s wisdom & strategy. As we crested the big climb toward the end of the fourth loop, we came across Cody who seemed to be struggling. This actually shocked me since I had never beat Cody, let alone passed him in previous races. We encouraged him to keep moving and finish strong before heading into the fifth and final loop. Cody would later admit that this type of course didn’t suit his strengths. Though not a bad uphill runner, he was very tentative (and for good reason) on the treacherous downhill. Hitting that last loop gave Mark & I an added boost of energy as we sensed a great opportunity to do more damage, especially on that final uphill. As we passed quite a few more runners, I put a small gap on Mark before we headed into the 300 meter downhill finishing chute. We both kicked pretty hard but I managed to cross the finish line a mere one second ahead of Mark. After finishing this race, I embraced my fellow comrade in battle and thanked him for helping me run a smart race. 8th – Simon (he was running 4th before taking a nasty fall in that downhill gauntlet). He was the age-graded champion at 47 years old. All in all, a few guys on the team didn’t have their best day but that’s how the cookie crumbles at times. Still, to be 6 points out of 4th place is pretty good despite a mediocre day. This gets me excited about our team’s prospects next year in Bethlehem, PA.
Amazingly, the Atlanta Track Club took home their third master’s team title in a row by squeaking out victory by a mere one point over Bowerman Athletic Club of Oregon. Proof that giving it everything you’ve got can make a big difference in the end. Lee Troop of Boulder, CO ran away from the field to win the individual master’s title. At the evening awards celebration, I had the honor of meeting someone I highly respect and look up to as a runner and coach. That person is none other than Pete Magill, a name you might recognize from articles he’s contributed to Running Times. Pete holds the American record for the oldest person to break 15 minutes in the 5k. He ran 14:47 at 49 years of age which is phenomenal. 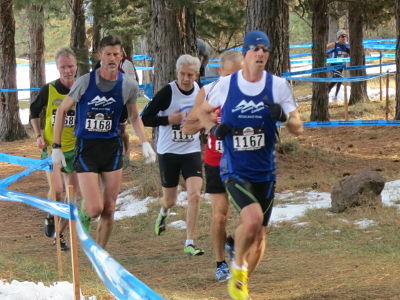 Pete won the master’s USATF Club Nationals race in 2010 when it was held in North Carolina. And he didn’t start running again until he was nearly 40 years old after quitting his freshman year in college! Pete has been kind enough to answer several questions I’ve asked him via email over the past few years and I found him to be even more gracious and approachable in person. Before we parted ways, he signed a race bib for me and also a good friend of mine here in Colorado Springs. Keep running strong Pete! I was able to spend a full week in Oregon which gave me time to see family which was nice. I mainly stayed with my brother Jason and his wife Christy in Dundee, OR deep in wine country. Jason & I drove the three hours south to visit our parents and our grandma in Myrtle Creek and Roseburg. I was also able to get my typical Oregon coast fix by taking a drive over to Newport one of the days. I also have to give huge thanks to Michael & Mayra Dennis for their gracious hospitality in putting Mark & I up for the couple nights we were in Bend. Their kids and Golden Retriever Daisy were fun to be around. As the week came to a close, I found myself excited to return to my wife Shelley and our abundant Colorado sunshine that seems more elusive in the Pacific Northwest this time of year. I’m also excited for what 2014 holds in store…Happy New Year!